COCKEYSVILLE, MARYLAND, UNITED STATES, September 17, 2018 /EINPresswire.com/ — For any organization looking to hire new people, the process recruiting qualified candidates, to make no mention of identifying the right candidate for a position, can be extremely expensive. As a result, many organizations rely on staffing agencies. 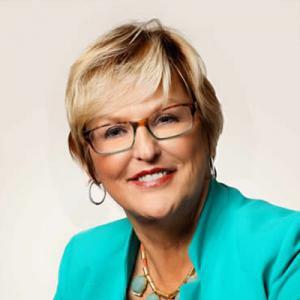 Wanda Smith is the founder and CEO of Symphony Placements, a flexible staffing and HR solutions company. The “little company in Cockeysville” is now serving clients in six states with plans to expand even further. Symphony Placements has seen its biggest growth specializing in staffing call centers around the world. According to Wanda, now in her 30th year in the staffing industry, the total complexion of the industry and the type of person doing temporary assignments has drastically changed: it may be a man whose wife is the main breadwinner, but he wants to pick up something in the hours while the children are at school; the same is true for a mother so that she wants a flexible schedule so she can take her kids to where they have to go. What many people don’t realize, says Wanda, is that staffing companies today can also operate just like any other employer; Symphony Placements provides paid vacation, paid holidays, 401k, short and long-term disability, and even health, vision and dental insurance. And Wanda doesn’t just match job-seekers with employers. She is deeply involved with the Team Up For 1 Foundation, (www.teamupfor1.org), where she matches children who are mentally and physically challenged or seriously ill with a high school, college and professional sports teams. CUTV News Radio will feature Wanda Smith in an interview with Doug Llewelyn on September 19th at 2pm EDT.